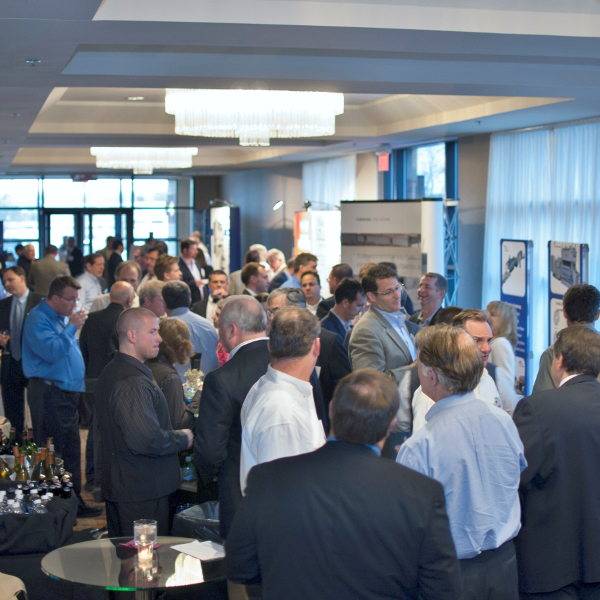 The PMA Cleveland District is proud to host its annual Suppliers Night. This much-anticipated event is designed to conveniently bring together industry suppliers and manufacturers and to assist in business growth and the expansion of markets they serve. Exhibitors, use this opportunity to display what new technology your company has to offer the metalworking community! Attendees, see what is new in the industry and talk with multiple suppliers about your needs. Complimentary hors d'oeuvres will be served and drink tickets will be sold. Exhibitor tables are sold out. Exhibiting is one of the most cost-effective ways for companies to reach qualified audiences. Each exhibitor space will consist of a 3'x6' skirted table, chairs, electrical outlet and Wi-Fi connection. Additional tables will be sold at a 25% discount. There is no charge to attend. Attendees must register and bring the attendee ticket with them to be entered into raffle drawings. Tickets must be presented at the door. For more information, please contact Nancy Wagner. To purchase sponsorships or exhibit tables over the phone, please contact Joe Zgrabik at 216-901-8800.